That Protein Brown Rice and Raw Cacao Protein is rated 4.4 out of 5 by 12. 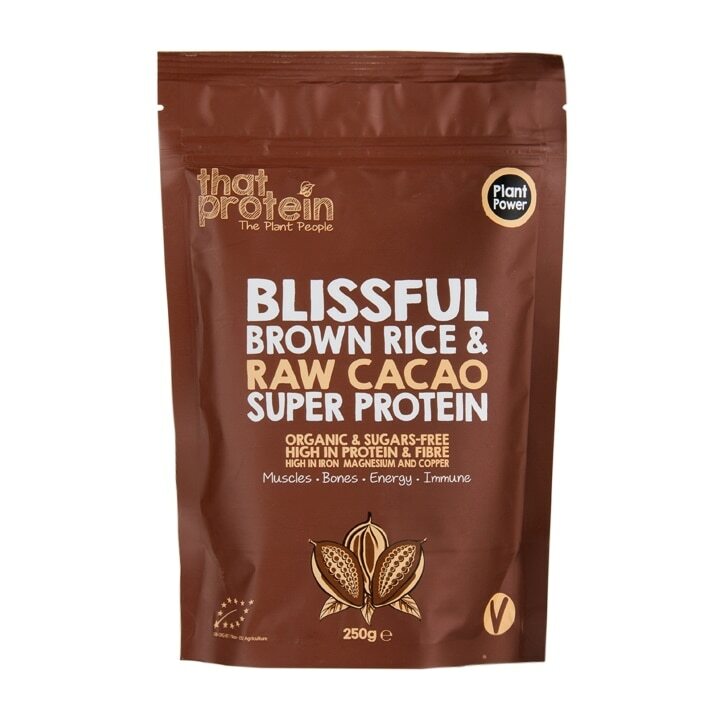 Rated 5 out of 5 by Tkb123456 from Gold dust product Great to have finally found a protein product that is free from chemicals and tastes good and genuinely nutritious. I have been drinking this for two weeks now and I can feel the difference already. There needs to be more raw natural products available PLEASE. Rated 5 out of 5 by Charliejk from I love this product! To say I’m a fussy eater I love the taste. I mix it with 250ml of soya milk and a table spoon of peanut butter for my breakfast. I struggle to eat breakfast and wanted to find something with enough protein and calories in to add to a shake and with added health benefits I give this powder a try! I’m in love with the taste and I just feel healthy drinking it. Will be purchasing another again soon and will try others in the range. Rated 5 out of 5 by lilnourish from Best protein I've found This is the cleanest protein I have found. Absolutely no nasties, just vegan protein and raw cacao which is exactly what I've been searching for. It is definitely for the dark chocolate palette, don't expect a sweet chocolatey shake as there is no sweetener in this at all so you will need to add your own if you want something sweet. As there is no milk content it is not creamy like most chocolate proteins either, exactly what I wanted but just be conscious of what you are buying if you want a sweet milkshake type product.